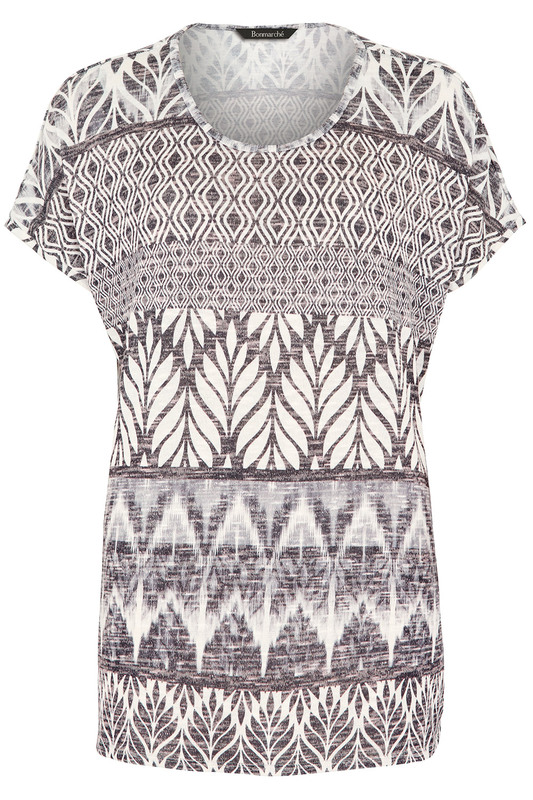 Add a little fun to your everyday look with this lively T-shirt in an all-over tribal print. The combination of pattern and colour makes for a bold look, perfect for pairing with a simple pair of jeans or trousers. The soft blend of materials means the T-shirt is extra soft and easy to wash. 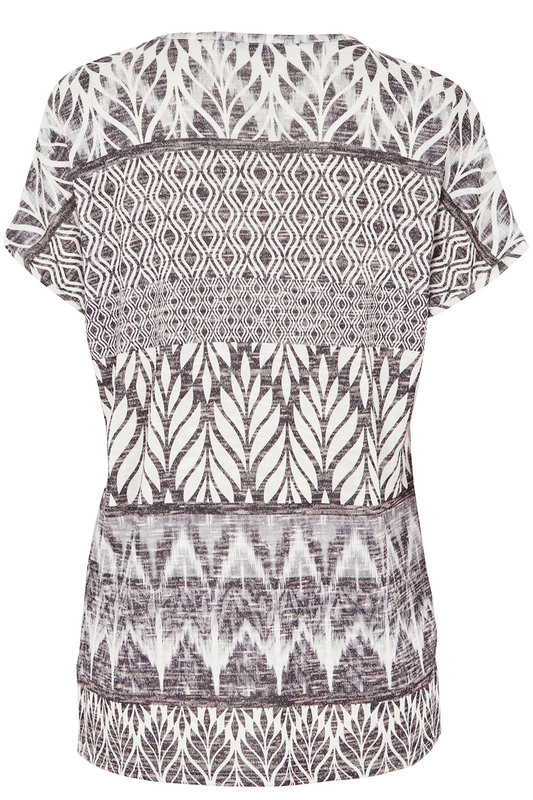 It has a simple round neck and flattering sleeves.